Conceivable includes everything you need to take control of your fertility. 100% natural, safe, and effective. We provide a personal coach, a Conceivable fertility assessment, all-natural herbal supplements, fertility education, menu plans with daily recipes and shopping lists, and advanced cycle tracking with patent-pending BBT interpretation. 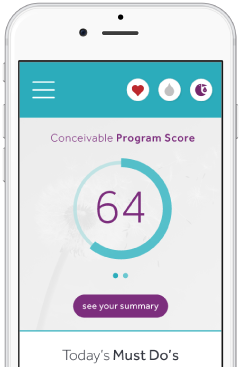 Your Conceivable Score shows you how close you are to optimal fertility and helps you track your progress. As your score improves, so does your chance of conception. ✔ Your custom Conceivable Fertility Plan is tied directly to issues that are currently preventing you from getting pregnant. ① Step 1: Sign up for a Conceivable Plan and choose either our monthly, or 3-month plan. Both plans have the same great benefits. ② Step 2: Download the Conceivable App on your iOS device. Your app puts the entire power of the Conceivable method right at your fingertips. ④ Step 4. Meet with your personal Conceivable coach. Our coaches are expertly trained to help you get the most out of your Conceivable program. 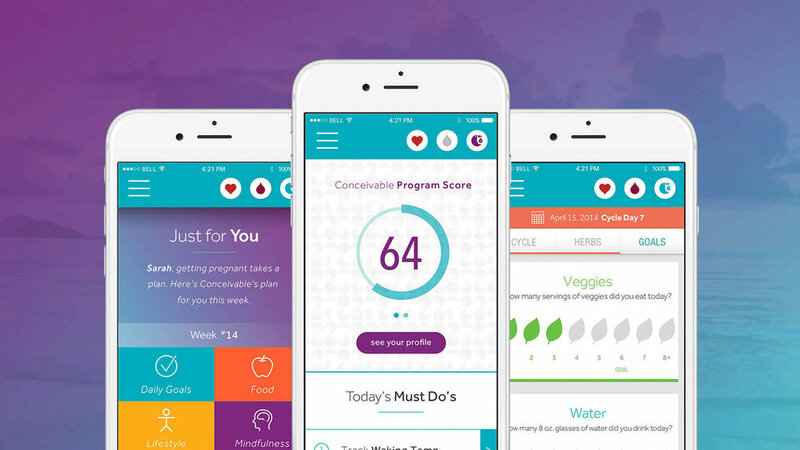 "Conceivable's New App Puts A Fertility Clinic In Your Pocket"
At Conceivable, we're dedicated to women's health and understanding the real reasons why pregnancy doesn't happen as expected. We believe that fertility can be affordable. Choose from monthly installments or save a little with a 3-month plan. Fertility change doesn't happen overnight — our successful users normally achieve pregnancy in about 3-6 months.